‘I did not yet know that there was an essence or impersonal Real underlying everything, and that Ishwara (God) and I were both identical with It. 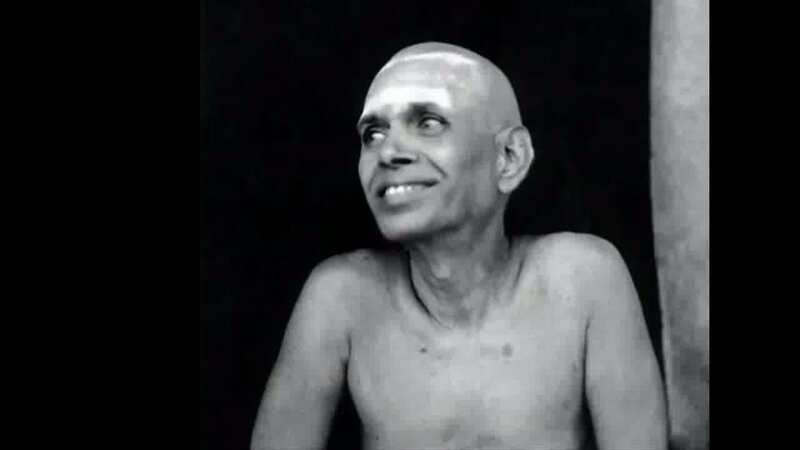 Ramana Maharshi, that great 20th century sage, explains in the above quote that his experience of Self-realisation was non-verbal. Though already self-realised at the time, he did not describe his experience in terms of that which changes (the transient) and that which never changes (the eternal), as is often traditionally done. It was only later, when listening to others read the scriptures, did he realise that his state had also been experienced and analysed by others before him, and that their traditional exposition described his own experience. This flip side of this is that expression of Truth does not only have to be in terms of the transient and eternal, and there are potentially many other non-traditional ways of expressing ‘realisation’. Ramana often said that silence was the greatest teaching, if one was ripe enough to receive it. Also implied is a warning against dogmatic thinking, against being attached to certain ways of expressing religious truth as being better than others and getting caught up in concepts. If you think there is a particular way of expressing the Truth that surpasses all others, then be warned. What works for one person may not work for another. One person’s help may be another’s hindrance. The real Truth cannot be expressed in concepts, as has often been said. All teachings are good so long as they are useful. Beyond that they are useless and even sometimes harmful if they keep the seeker stuck in concepts and rigid thinking. Stick to what is Real and True, and not to concepts. Reblogged this on The Direct Path.